Great Parenting is Always in Style! One of my favorite television shows always includes this look in their makeover projects… and I will definitely have the cutest, fashionable, and functional… mom-on-the-go look ever! 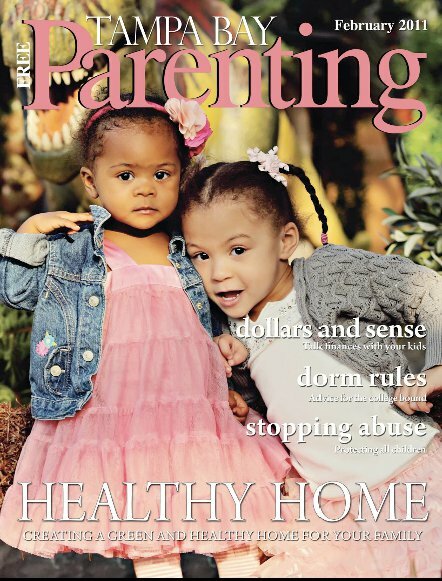 Attention all busy parents in the Tampa Bay area; you can totally count on Tampa Bay Parenting Magazine for upbeat and solid information about parenting. We are glad to have Tampa Bay Parenting Magazine as one of our Fashion Week Tampa Bay 2010 sponsors! The magazine provides busy, yet stylish parents with information on events in the Bay area, parenting advice, activities, after school programs, summer camps and more. The articles cover important topics like health, nutrition, education, swim guide, restaurant guide, party planning, and traveling. Sounds like the perfect magazine – I mean, hello! It’s both fun and very functional to read Tampa Bay Parenting Magazine! I can see it now… mama Dee in the kitchen reading Tampa Bay Parenting Magazine while drinking a cup of Joe. In addition to being a stylish mommy with my super cute kid, of course! Like one of my favorite television reality stars – Teresa from the Real Housewives of New Jersey, my kids will always look like a mini model. 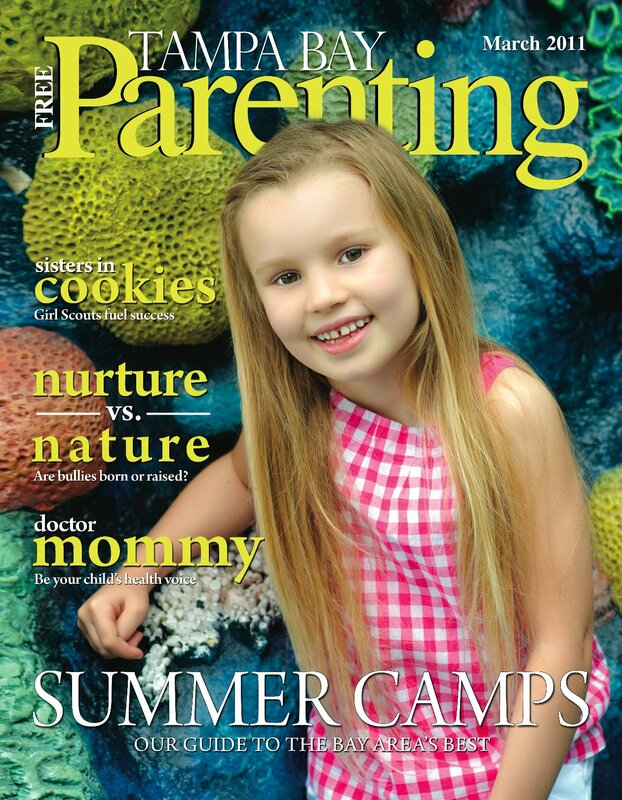 Speaking of kid models… Tampa Bay Parenting Magazine is currently having a “Cover Kid Search.” Interested? Enter the cover competition whether your child is America’s Next Top Model or has a smile that melts everyone’s heart. Just upload their picture onto the website where people can view and vote for their favorite. 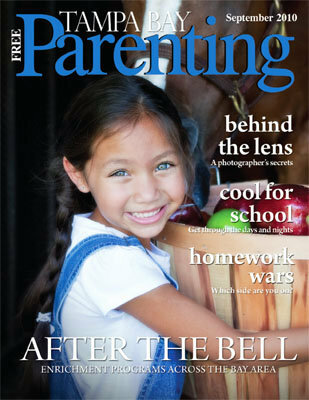 Tampa Bay Parenting Magazine offers so much, the articles and valuable information are endless! I really like how they remind parents in their mission that most parenting is about the “little stuff.” Yes, you’ll have plenty of major issues to deal with throughout the years but also try focusing on the little stuff. For instance, playing games together, long conservations over hot cocoa, and of course, shopping and attending Fashion Week Tampa Bay together! Better grab your dancing shoes Tampa Bay! On Saturday, September 11, 2010 Julie Weintraub’s Hands Across the Bay will present this year’s Tampa Bay’s Dancing with the Stars. The event will be held at the gorgeous Pepin Hospitality Centre and will include auction items and entertainment by Fred Astaire Dance Studios. Some of the auction items that really caught my eye are from Saks Fifth Avenue, The Don Cesar Beach Resort and the Seminole Hard Rock Hotel & Casino. It’s an interactive ballroom dance competition for our local celebrities to be paired with a professional dance instructor. One of the Celebrity Star Dancers is Fashion Week Tampa Bay sponsor, Tampa Bay Parenting Magazine’s Founder and Editorial Director, Angela Ardolino who will be dancing the night away for charity! Proceeds from the event will benefit: Kids Charity of Tampa Bay, Moffitt Cancer Center and Pepin Heart Hospital. There are fifteen dancers who are local community personalities, celebrities and leaders. Similar to the popular ABC television show, Dancing with the Stars, their dance instructors will teach them dance moves that will amaze the crowd. Amazing the judges is also very important in this dance competition. Each dance team (the celebrity and their dance instructor) will perform a ballroom dance which will be judged by national and international ballroom competition adjudicators combined with the audience’s votes. Tampa Bay’s Dancing with the Stars began in 2008 and has achieved more success year after year. The event’s success will help enable Hands Across the Bay with supporting and improving people’s lives in Tampa Bay who need it most. This black-tie (and gorgeous gowns for the ladies) event is just two weeks away! Click here for more information and tickets. Also show your support and vote for Angela Ardolino by clicking here!